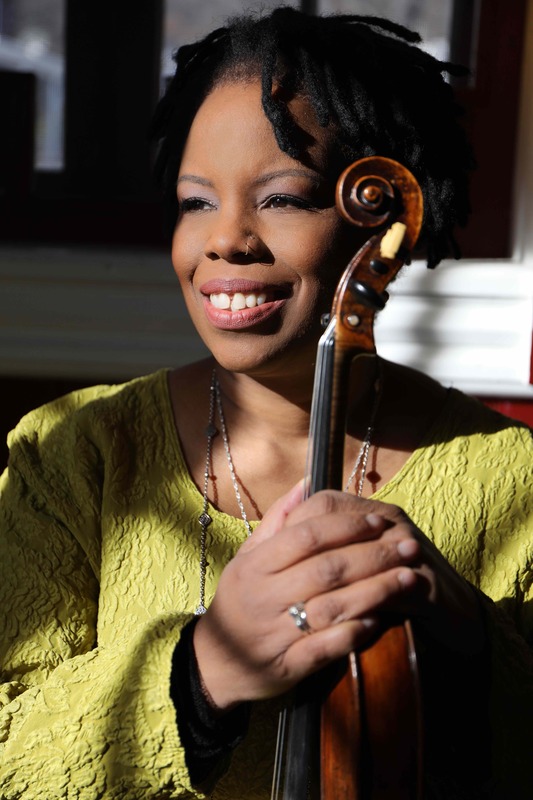 Lawrence University will present the 38th annual Fred Sturm Jazz Celebration Weekend with live performances from the Regina Carter Quartet on Friday, November 2 and the Vanguard Jazz Orchestra on Saturday, November 3. Both concerts will take place at 7:30 pm in the Lawrence Memorial Chapel. Tickets are free for all students with a valid student ID, and range from $20 – $30 for seniors and adults. Tickets are available for purchase from the Lawrence University Box Office in person, online or by calling 920-832-6749. Fred Sturm Jazz Celebration Weekend brings professional jazz artists to the Lawrence campus for a non-competitive jazz education festival. Over the course of the weekend hundreds of middle and high school students from around the Midwest work with Lawrence faculty and jazz educators from across the country. The weekend culminates in the Friday and Saturday evening concerts given by internationally acclaimed jazz musicians. The concert on Friday, November 2 will feature Regina Carter, a Sony Masterworks recording artist and the foremost jazz violinist of her generation. Her quest for beauty combined with her passion for excellence did not escape the attention of the MacArthur Foundation, who awarded Regina their prestigious fellowship “genius grant.” Carter’s recent release, Ella: Accentuate the Positive and touring program, Simply Ella, mark the 100th birthday of musical legend Ella Fitzgerald. Carter will perform Simply Ella live at Lawrence with her quartet. 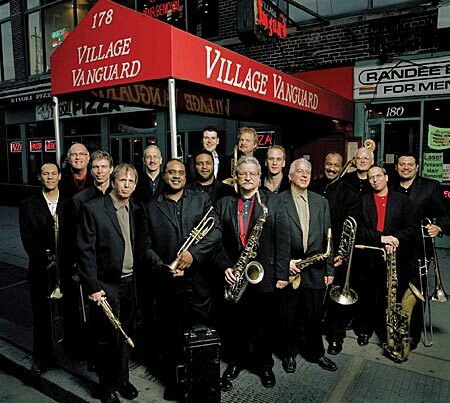 The concert on Saturday, November 3 showcases the multiple-Grammy winning 16 piece Vanguard Jazz Orchestra which features some of the world’s finest musicians. Co-founded by legendary trumpeter Thad Jones and drummer Mel Lewis, after more than 50 years the ensemble still plays virtually every Monday night at the renowned Village Vanguard Jazz club, New York City’s most famous basement. The beautiful and unique arrangements of Thad Jones enchanted audiences worldwide. The mixture of the music from diverse backgrounds created their innovative sound and the band was quickly recognized as a world-class big band. The ensemble cultivated its rich history while commissioning new music that made them the prototype of innovative big band music. 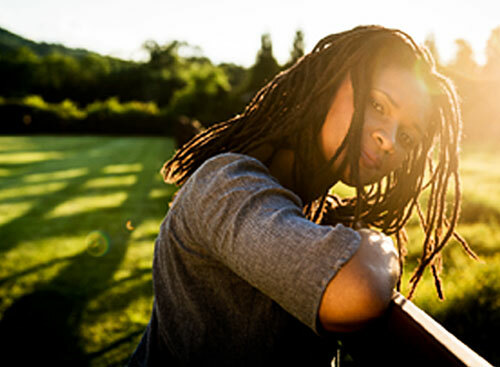 Acclaimed singer-songwriter Lizz Wright and the immersive trio Storms/Nocturnes headline Lawrence University’s 37th annual salute to all things jazz. Wright opens the two-concert weekend Friday, Nov. 3 at 7:30 p.m. while Storms/Nocturnes shares the stage with Lawrence’s own 18-member jazz ensemble Saturday, Nov. 4 at 7:30 p.m. to close the Fred Sturm Jazz Celebration Weekend. Both concerts are in the Lawrence Memorial Chapel. Tickets, at $30/$25 for adults, $25/$20 for seniors and $20/$18 for students are available through the Lawrence Box Office, 920-832-6749. 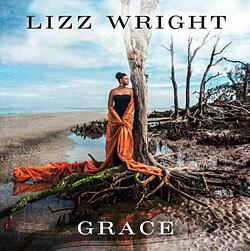 Wright, who NPR describes as “a sophisticated straddler of down-home blues, jazz, gospel, folk, southern pop and confessional singer-songwriter traditions,” will feature her latest studio album “Grace,” which was released in September. The album is an unadulterated reflection of Wright’s sense of place and belonging that’s deeply woven into the cultural fabric of America. An invitation to openly contemplate our humanity, “Grace” is Wright’s proclamation to unearth our fundamental kindness and generosity. She uses it as vocal rite of passage, tracing the landscape between her native central and south Georgia and the Blue Ridge Mountains of Asheville, N.C., where she currently makes her home. “Grace” showcases the warm and weathered colors of Wright’s voice. Leaning into curated classics and contemporary covers, she pierces form with gentle and unfettered individuality. 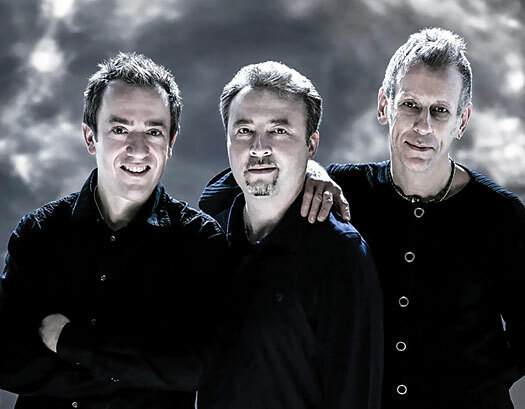 Storms/Nocturnes, a trio of international jazz giants — British saxophone legend Tim Garland, world-leading vibraphone virtuoso Joe Locke and Grammy Award-nominee pianist Geoffrey Keezer — create a unique three-way dialogue of captivating, immersive music. Melding their distinct styles and backgrounds, they create music that can be spacious or immensely complex, delicate but almost orchestral in depth. They collectively find their way into a new mood or feel before the listener realizes they have left the old one. Garland was voted “Musician of the Year” in 2006 by the Cross-Parliamentary Jazz Society. He has received commissions from the London Symphony Orchestra, the BBC Concert Orchestra and the Westminster Abbey Choir, as well as numerous small and large jazz-based ensembles. He earned a 2009 Grammy Award for helping create “The New Crystal Silence,” which celebrated the long partnership between jazz legends Chick Corea and Gary Burton. Locke, a vibraphonist renowned for stunning physical power and broad emotional range, has topped music polls and won multiple awards, including Earshot Golden Ear Awards for “Concert of the Year” and 2016 “Mallet Player of the Year” from the Jazz Journalists Association. Storms/Nocturnes — pianist Geoffrey Keezer, saxophonist Tim Garland and vibraphonist Tim Locke — perform Saturday, Nov. 4 at 7:30 as part of Fred Sturm Jezz Celebration Weekend. They’ll be joined by the Lawrence University Jezz Ensemble. London’s Royal Academy of Music appointed Locke Visiting International Vibraphone Consultant in 2008 and last year he was honored by his hometown of Rochester, N.Y., with induction into the city’s Music Hall of Fame. Keezer, an Eau Claire native and two-time Grammy Award nominee, began playing jazz clubs as a teenager and was touring the country in his 20s with such jazz luminaries as Joshua Redman and Benny Golson. His intellectually abstract lyricism woven over exotically complex rhythms and harmonies makes him one of the most sought-after artists on the modern jazz scene. Keezer has performed on projects ranging from solo to duo to quartet, from bandleader to big band, from post-bop jazz to electronica to global fusion. His 2009 CD “Áurea” earned a Best Latin Jazz album Grammy nomination. He teamed with Garland and Locke on the album “Via” in 2011 while he released his latest solo piano disk, “Heart of the Piano” in 2013. Darling is excited about having LUJE join the talented trio on stage. In addition to the two evening concerts, Fred Sturm Jazz Celebration Weekend features a series of free performances and clinics by Lawrence combos, big bands, jazz faculty and high school bands, with more than 700 high school and middle school students participating throughout the day on Saturday. A complete schedule can be found here. Lawrence’s annual Jazz Celebration Weekend was renamed two years ago in honor of long-time music professor Fred Sturm, its founder and mentor who passed away in 2014. It’s encore time for two multi-award winning artists making return appearances at Lawrence University for the college’s 32nd annual Jazz Celebration Weekend. The Grammy Award-winning Kurt Elling Quartet opens the two-concert weekend Friday, Nov. 2 with the world-renowned Maria Schneider Orchestra closing the weekend Saturday, Nov. 3. Both concerts begin at 7:30 p.m. in the Lawrence Memorial Chapel. No less an authority than the New York Times has hailed Elling as “the standout male vocalist of our time.” He will combine his vocal virtuosity with the talents of the Lawrence University Jazz Ensemble. 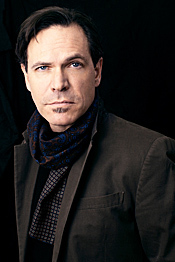 In addition to a 2009 Grammy Award for his “Dedicated To You: Kurt Elling Sings The Music Of Coltrane And Hartman” CD, Elling has won the DownBeat Critics Poll “Male Vocalist of the Year” Award an unprecedented 13 years in a row (2000-2012). He holds the distinction of having each of his first nine albums earn a Grammy Award nomination. This will be Elling’s second Jazz Celebration Weekend appearance, having first performed here in 2003. Elling’s latest release, 2012’s “1619 Broadway – The Brill Building Project,” pays tribute to the New York workplace where dozens of composers and lyricists generated some of America’s most popular music over the course of four decades. His prolific career includes collaborations with diverse artists ranging from Chicago blues legend Buddy Guy, seven-time Grammy Award-winning jazz singer Al Jarreau and Smashing Pumpkins frontman Billy Corgan. He has written multi-disciplinary works for The Steppenwolf Theatre and the City of Chicago and was the featured performer at the Obama administration’s first state dinner. Composer and conductor Maria Schneider’s ascent to international jazz acclaim began shortly after forming her 17-member orchestra in 1993. 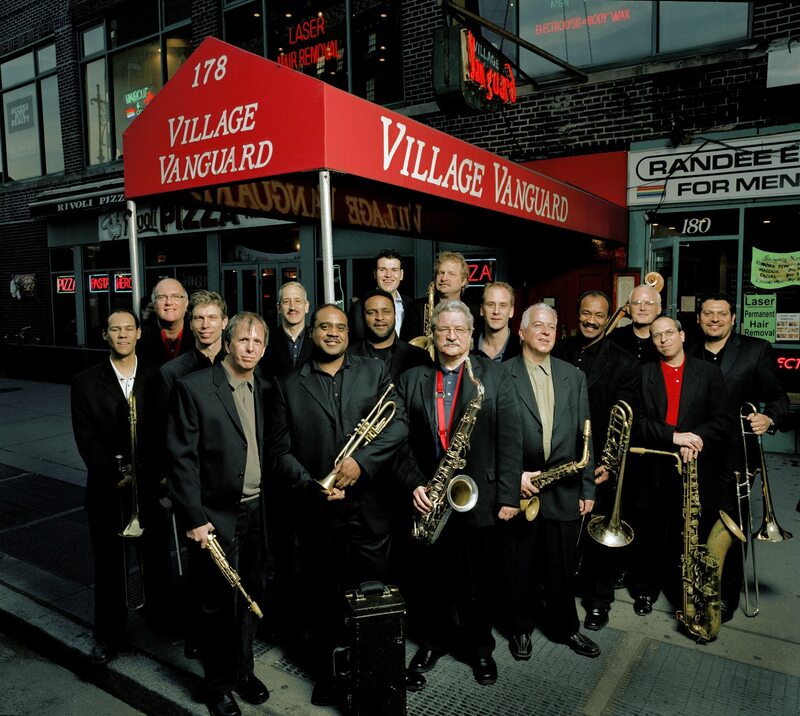 A weekly performer at Visiones in Greenwich Village early on, the orchestra has since become a staple at concert venues around the world, earning 2005’s “Large Jazz Ensemble of the Year” award from the Jazz Journalists Association. Schneider, who closed out Lawrence’s 2006-07 Jazz Series with a June concert, scored an awards trifecta in 2005 for “Concert in the Garden,” earning composer of the year, arranger of the year and best jazz recording honors from the DownBeat Magazine Critics Poll and the Jazz Journalist Association. Schneider’s extensive list of compositions includes commissions by the Danish Radio Orchestra, Metropole Orchestra, Stuttgart Jazz Orchestra, Orchestre National de Jazz, Carnegie Hall Jazz Orchestra, Monterey Jazz Festival, Jazz at Lincoln Center and the Los Angeles Philharmonic Association. In addition to the two headline concerts, Lawrence will host more than 30 university, high school and middle school ensembles on Saturday that will participate in daytime performances, educational clinics and master classes with some of the finest jazz educators from across the country. All Saturday daytime events are free and open to the public. The short history of the current iteration of the Lawrence University Saxophone Quartet could be told in one word: successful. When four Lawrence University saxophone students decided in the spring of 2010 to combine their talents to perform interesting music at a very high level, they had no idea just how rewarding that decision would prove to be. 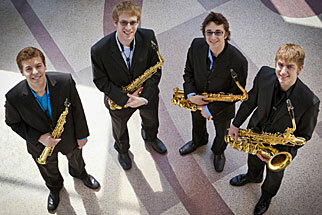 The latest in a long line of successful ensembles in the conservatory’s saxophone studio, this quartet — seniors David Davis, Sussex, and Sumner Truax, Chicago, Ill., junior Will Obst, St. Paul, Minn., and sophomore Phillip Dobernig, Mukwonago — won the annual Lawrence Symphony Orchestra Concerto Competition last fall. In March, they shared first-place honors in the annual Wisconsin Public Radio-sponsored Neale-Silva Young Artists competition in Madison. And the nec plus ultra came this month via DownBeat magazine, which named the quartet its 2011 undergraduate college winner in the classical group category of its 34th annual Student Music Awards. The awards were announced April 26 in DownBeat’s June edition. Known as “DBs” and presented in 12 categories in four separate divisions (junior high, high school, performing high school and college) the DownBeat awards are considered among the highest music honors in the field of jazz education. The quartet was recognized based on a live recording of a diverse program they performed last fall that included Greg Wannamaker’s “Speed Metal Organum Blues,” “Just a Minute, Chopin” by Adam Silverman and “Quatuor pour Saxophones” by Jun Nagao. Members credited the quartet’s success to a combination of chemistry, technique and great mentoring. While thrilled with their DownBeat recognition, Dobernig said it’s important to keep the honor in proper perspective. Although Davis will graduate in June, that doesn’t mean the quartet was a one-year wonder. Neustadter, a first-year graduate student pursuing music composition at Yale University, was honored for his arrangement of the 1946 Walter Gross ballad “Tenderly,” a jazz classic that has been recorded by more than 80 major artists. He wrote his five-minute arrangement for studio orchestra and vocalist near the end of his senior year at Lawrence last spring. “I’ve written a lot of original music but wanted to try my hand at arranging a ‘classic,’” said Neustadter, who won four DB awards in composition, jazz performance and classical performance while a student at Manitowoc Lutheran High School. “‘Tenderly’ has been successful through the ages because it retains the sophisticated elegance of the great ballads without sounding ‘dated’ or ‘old-fashioned.’ With such a wealth and variety of previous recordings and arrangements, it was somewhat intimidating and difficult to bring a ‘fresh’ compositional voice to the arrangement. The two awards push Lawrence’s total to 19 DBs — including eight in the past five years — since DownBeat launched its student music awards competition in 1978. This year’s competition drew a total of 964 ensemble and individual entries for all categories in all four divisions. 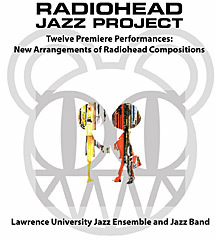 The music of the inventive and popular English alternative rock band Radiohead gets a major makeover in Lawrence University’s ambitious Radiohead Jazz Project. A dozen Radiohead songs, rearranged for large jazz ensemble format by an international array of composers, make their world premiere March 8-9 in a pair of performances by the Lawrence University Jazz Ensemble and the Lawrence University Jazz Band. The concerts, at 8 p.m. both nights in Stansbury Theatre of the Music-Drama Center, are free and open to the public, but tickets are required. Contact the Lawrence Box Office, 920-832-6749. The project was hatched last summer, when Fred Sturm, Lawrence’s director of jazz studies and improvisational music and colleague Patty Darling, director of the jazz band, discussed the feasibility of a Radiohead large jazz ensemble arranging initiative to bring added relevancy to the music their students play. To generate the music, Sturm recruited an international group of jazz arrangers — Germany’s Florian Ross and Sherisse Rogers, staff arranger for the Netherlands’ Metropole Orchestra — as well as young American composers with an affinity for Radiohead’s music, including collegiate jazz faculty members from California, Texas, Oregon, Kansas and Iowa. Sturm and Darling each contributed one arrangement to the project as well. Many jazz solo artists and small ensembles have recorded Radiohead songs, including pianist Brad Mehldau (“Exit Music from a Film,” “Knives Out”), saxophonist Chris Potter (“Morning Bell”) and singer Jamie Cullum (“High and Dry”). Formed in 1985, Radiohead released its first album in 1993 and achieved notoriety in their native United Kingdom shortly thereafter. International recognition followed shortly and in 2005, the five-member band was ranked 73rd in Rolling Stone’s list of “The Greatest Artists of All Time.” Many consider Radiohead the most inventive and successful band in the modern rock era. In recent years, the band has traded conventional instrumentation and standard song forms for rhythms and grooves seldom found in the rock genre. Radiohead lead guitarist and principal arranger Jonny Greenwood claims the band draws many conceptual elements from jazz. Following the March premiere, the Radiohead Jazz Project will be performed at three of the nation’s top collegiate jazz programs: the University of North Texas, University of Miami and the Eastman School of Music. Sierra Music Publications, one of the major publishers of large jazz ensemble music, will distribute the print music as a series in the fall. In September, the HR Big Band in Frankfurt, Germany will record and tour with the project. Expect things to be a little spicier for this year’s Lawrence University Jazz Celebration Weekend. For the first time in the concert’s 30-year history, Jazz Celebration Weekend goes all Latin. Brazil’s Grammy-winning singer Luciana Souza and her trio open the weekend Friday, Nov. 5. Trombonist Conrad Herwig, who has recorded Latin-styled tributes to Herbie Hancock, John Coltrane and Miles Davis, takes the stage Saturday, Nov. 6. Souza will be joined by the Lawrence Hybrid Ensemble, while the Lawrence Jazz Faculty Quartet, Jazz Ensemble and Trombone Ensemble perform with Herwig. Both concerts begin at 7:30 p.m. in the Lawrence Memorial Chapel, 510 E. College Ave., Appleton. Tickets are available through the Lawrence Box Office, 920-832-6749. Raised in a family of bossa nova innovators, Souza has emerged as one of jazz’s leading singers and interpreters, creating music that transcends traditional boundaries. She has performed and recorded with Herbie Hancock — winning a Grammy Award in 2008 for her work on “River – The Joni Letters” — as well as Paul Simon, Bobby McFerrin, the Boston Symphony Orchestra and the New York Philharmonic. Her discography includes eight releases as a leader and more than 50 recordings as a side singer. Herwig a 2008 Grammy nomination and was cited on Downbeat Magazine’s “Best of 2008” list. He is a member of the jazz faculty at Rutgers University and also is a visiting professor of jazz studies at the Juilliard School of Music. Professor of Music Nick Keelan, who teaches trombone at Lawrence, calls Herwig “a master” of the instrument. In addition to the two visiting artist concerts, more than 1,000 university, high school and middle school instrumental and vocal jazz students will participate in daytime performances, educational clinics, and master classes on Saturday. All Saturday performances are free and open to the public. Since the inaugural Jazz Celebration Weekend in 1981, more than 20,000 students have participated in the event, directly impacting the quality of jazz education in Wisconsin and surrounding states. For more than 30 years, Fred Sturm has devoted his life to enthusiastically sharing his love of jazz with aspiring musicians. That dedication was not lost on the editors of DownBeat magazine, who have named Sturm a recipient of its 2010 Jazz Education Achievement Award as part of its annual Student Music Awards. And for the second straight year, the magazine also recognized the Lawrence student band Fatbook with its blues/pop/rock category as the nation’s best college band, sharing the honor with Compendium from Western Michigan University. The awards were announced in DownBeat’s June edition, which hit newsstands April 27. Known as “DBs” and presented in 15 categories in four separate divisions (junior high, high school, performing high school and college) the DownBeat awards are considered among the highest music honors in the field of jazz education. As a 19-year-old student at Lawrence in the early 1970s, Sturm formed the conservatory’s first-ever jazz ensemble, which in turn became a catalyst for the creation of the jazz studies department at Lawrence. 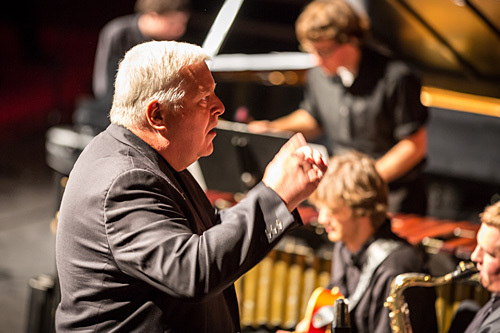 Four years after earning his degree from Lawrence, Sturm returned to Lawrence to direct the college’s jazz program, which he has done for 22 years (1977-91, 2002-10). The Jazz Education Achievement Award honors jazz instructors who have made significant contributions toward the development of future jazz artists and positively impacted their school’s jazz programs through their commitment to jazz education. Winners are chosen by a panel of educators/artists. Sturm shares the 2010 award with Bob Lark of DePaul University and Bob Sinicrope of the Milton Academy in Massachusetts. DownBeat editor Ed Enright said Sturm was recognized as “the perfect example of a teacher who goes the extra mile” for his students and ensembles. “Fred’s influence can be seen and heard throughout the jazz education community,” said Enright. “We recognize him for the many DownBeat Student Music Awards his students and ensembles have brought home over the years, the high quality of his compositions and arrangements, the effectiveness and popularity of his own published texts and teaching methods, his high-profile gigs as guest conductor for major jazz orchestras in Europe, and his tireless work as a clinician and ensemble coach at educational festivals throughout the United States. 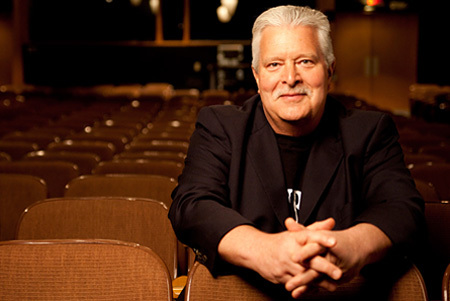 Sturm’s student jazz ensembles at Lawrence and the Eastman School of Music in Rochester, N.Y., where he spent 11 years, have won nine Downbeat awards during his career. Last year, Fatbook became a footnote in Lawrence history as the college’s first non-curricular ensemble to be recognized by DownBeat. This year they add to that footnote by becoming Lawrence’s first-ever back-to-back DB recipient. Formed in 2007, the seven-member band was recognized for its CD “No Time to Lose,” an all-original 10-track disc of songs written by members of the band. Senior Harjinder Bedi, the “instigator” behind the creation of Fatbook, said there was a moment of “slight disbelief” in hearing the news the band had won for the second year in a row. Bedi is one of three Appleton students in the band along with founding members senior saxophonist Jake Crowe and trumpet player Ted Toussaint, a 2009 Lawrence graduate. Other original band members include bassist Nick Anderson, drummer Kyle Traska and trombonist Evan Jacobson, all 2009 graduates, along with keyboardist Dario LaPoma, a senior from Eugene, Ore.
With several members no longer on campus, Bedi said the band has been able to experiment with other talented musicians. Last year’s DownBeat award was a springboard to club dates throughout the Fox Cities and Wisconsin, with future concerts in Madison, Milwaukee, Minneapolis and Chicago in the works. Fatbook also has applied for the 2010 Jazz Aspen Snowmass Academy Summer Sessions June 23-July 4. With graduation on the horizon and a student-teaching position in Chicago scheduled this fall, Bedi is hoping to establish a base for the band in the Windy City. Sturm’s and Fatbook’s awards push Lawrence’s DB total to 17 since the competition was launched in 1978, and the college’s seventh DB since 2005. This year’s DownBeat competition drew a total of 856 ensemble and individual entries for all categories in all four divisions. Composed by Lawrence’s own Fred Sturm, Kimberly Clark Professor of Music and director of jazz studies, “Migrations” was commissioned in 2007 by McFerrin and the NDR Big Band in Hamburg, Germany. The work is a “musical plea for world unity” that illustrates both the distinct and shared characteristics of indigenous music from 18 countries on six continents. Collaborating with a former Lawrence student, Brian Pertl ’86, an ethnomusicologist and, at the time, the manager of Microsoft’s Media Acquisitions Group, Sturm researched more than 2,000 recordings from around the globe. Sturm transcribed, arranged, orchestrated and “recomposed” about two-dozen indigenous recordings to create the magical two-hour concert showcasing McFerrin. With a four-octave vocal range and a wide array of vocal techniques, McFerrin is one of the natural wonders of the world. Famous for his 1989 hit “Don’t Worry, Be Happy,” he is an ardent spokesman for music education. His collaborations with other artists such as Yo-Yo Ma, Chick Corea, and Herbie Hancock have established him as an ambassador of both the jazz and classical music worlds. The concert will also feature Pertl, now the dean of the Lawrence University Conservatory of Music, playing the didjeridu and jaw harp, and Dane Richeson, professor of music at Lawrence, on drums and percussion. Sturm will host a pre-concert lecture at 7 p.m. in Stansbury Theatre, Music Drama Center, 420 E. College Ave, west of Lawrence Memorial Chapel. The concert is sold out, however, the public is invited to enter a contest to win one of 10 pairs of tickets for this special performance beginning Wednesday, February 10.